“Veiled in the beauty of Temecula Wine Country is a hidden paradise. From the moment you arrive a feeling of awe will overwhelm your senses. 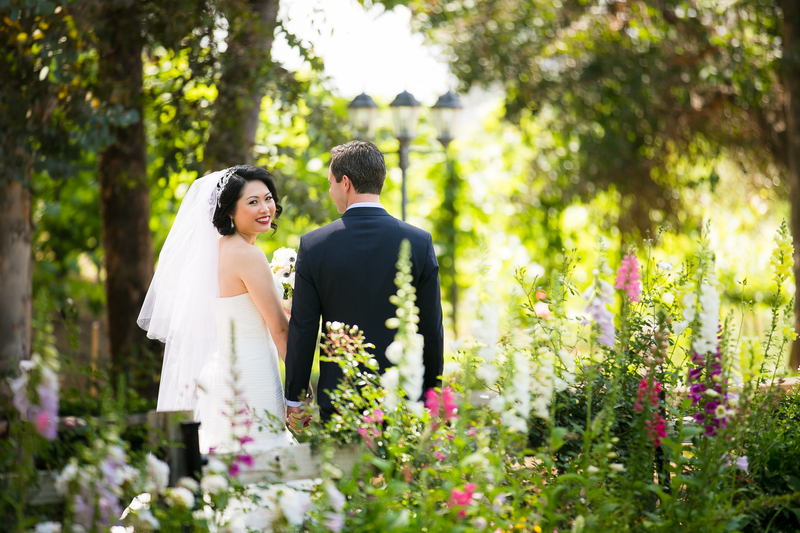 Oak Meadows is where all of your wedding day dreams come true. 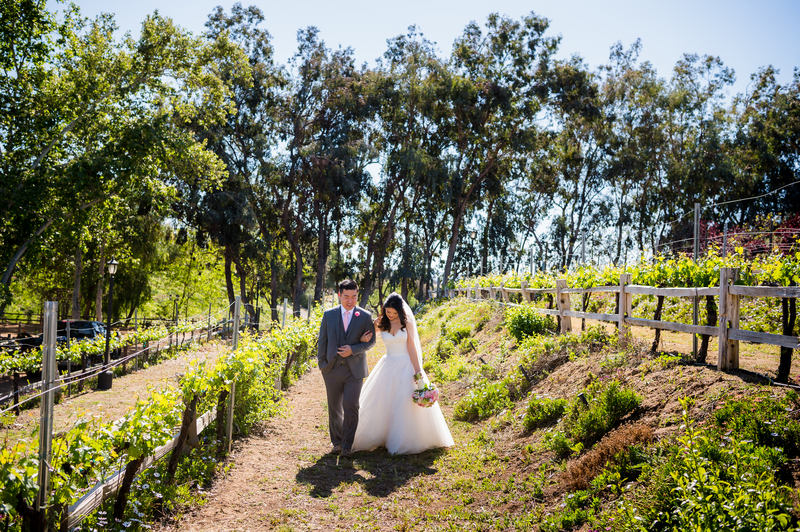 This exclusive wedding and winery estate encompasses acres of lush trees, heirloom roses, secret gardens and bronze statues, waterfalls, fountains, shady knolls, a picturesque lake and views that go on forever. 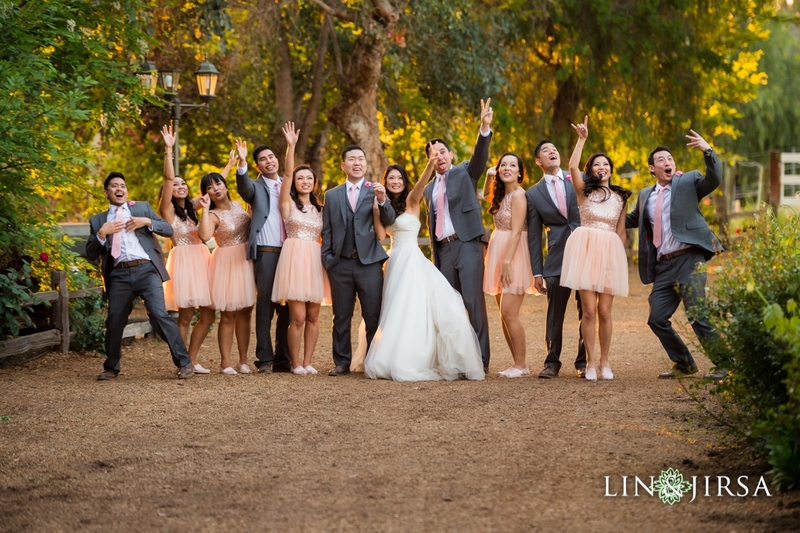 Lake Oak Meadows has great suites for the bride and groom on location. The bride gets access to two bridal suites, one with vanity chairs for hair and makeup application. The groom and his buddies get to enjoy a game of pool while they wait for the festivities to begin. They used to say it was bad luck to see your bride before walking down the aisle, but that myth has vanished. We encourage our couples to do a first look session, it really lets us catch that emotion of seeing one another. It also gives the couple the opportunity to explore their beautiful venue and take pictures alone. 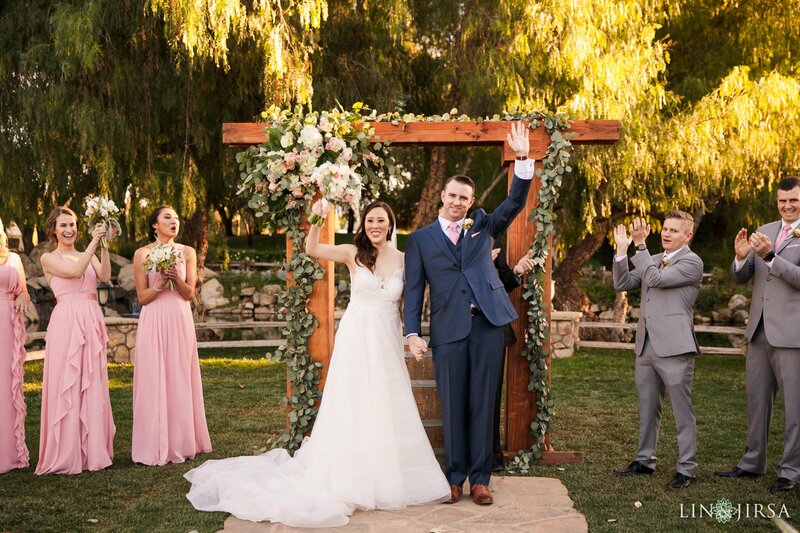 Lake Oak Meadows has the perfect bridge to capture this moment! 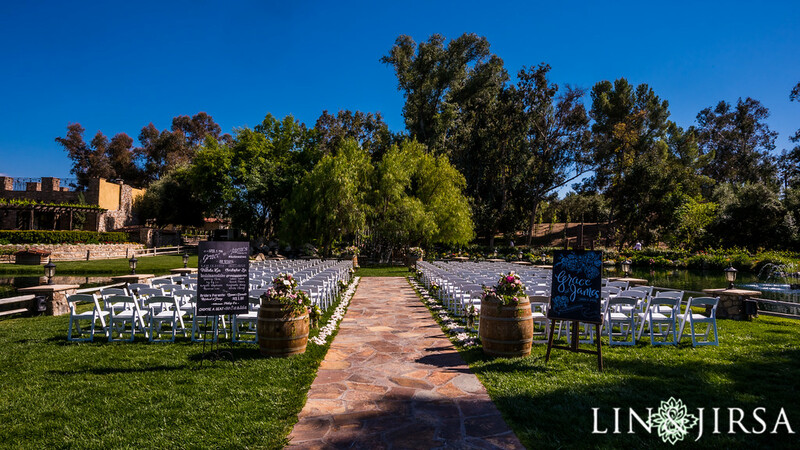 The ceremonies at Lake Oak Medows take place on an open lawn with a stone tile aisle to walk down. If you’re really looking to make a grand entrance, there is a horse and carriage available at Lake Oak Meadows. Lake Oak Medows offers an outside reception area covered with greenery and a stone walkway. For evening events you have lakeside fire rings and fire pits available as well. The string lighting adds the perfect touch once the sun has set. 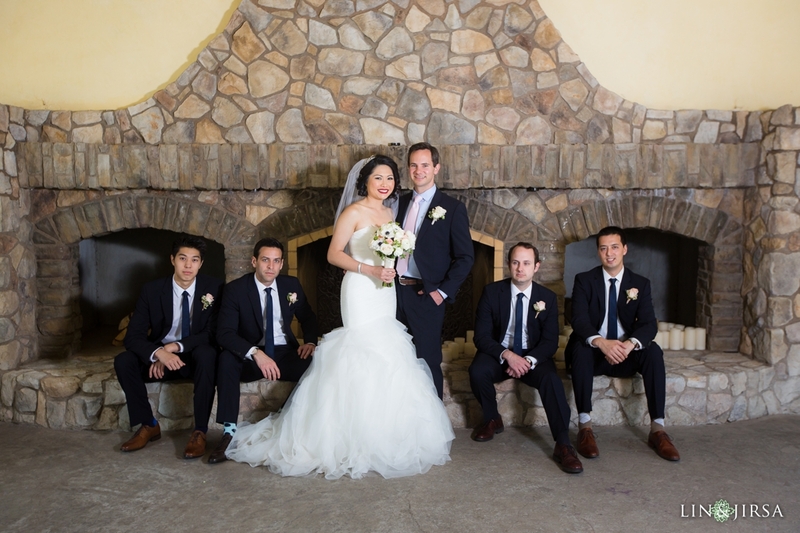 The walkways, stone fireplace and greenery around Lake Oak Meadows are a perfect place to get pictures with each other and your bridal party. 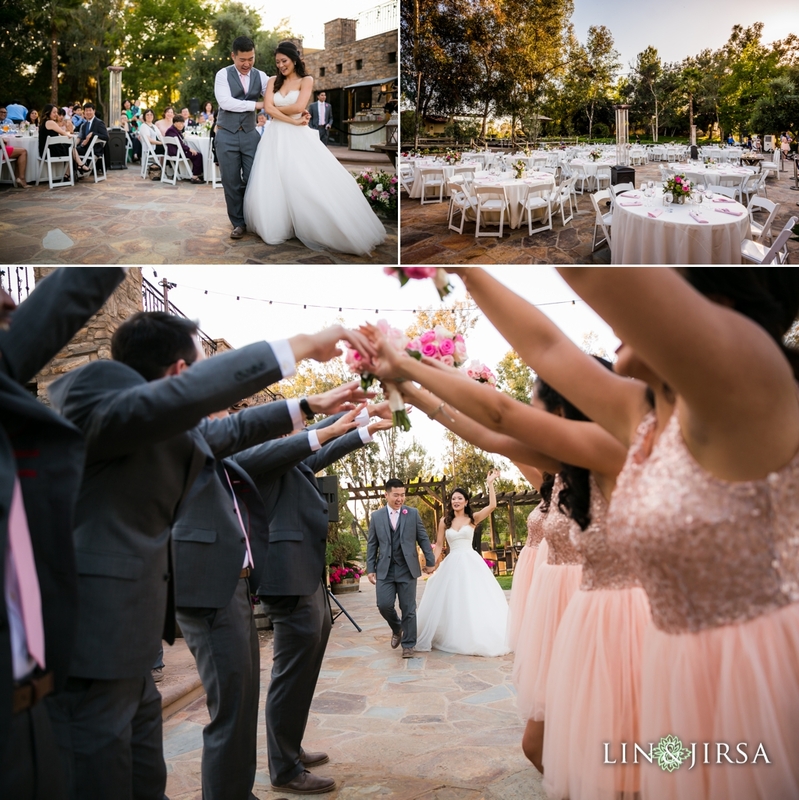 The lush backdrops during sunset and twinkling lights at night make for a great couple session.